The Navigation Sensor Emulator (NSE) is a man portable multi-sensor stimulator and emulator system that can be used for test or emulation purposes. 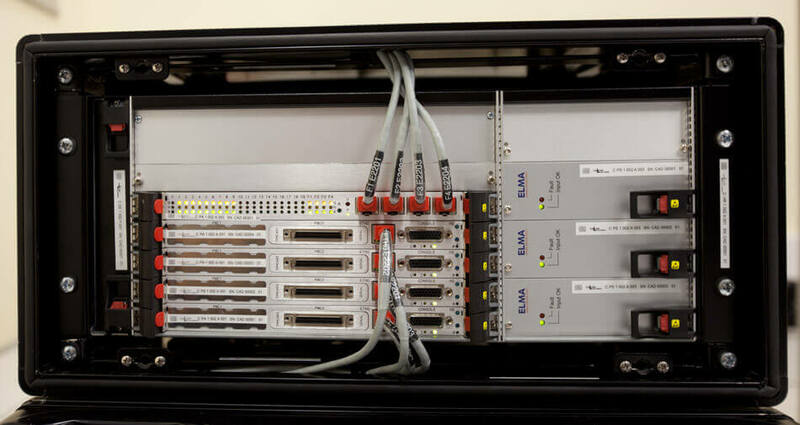 The NSE is comprised of multiple single board computers (SBCs) with multi-channel programmable serial IO daughter cards that are controlled via a Real-Time Operating System, proprietary software and device drivers. 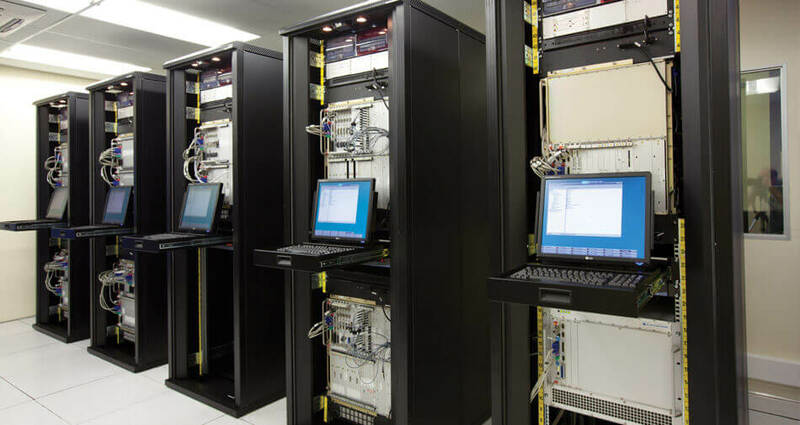 The NSE makes use of distributed computing software that allows for multiple sensors to be simulated at one time. The NSE was developed for use by the South African Navy (SAN) on their Heroine Class Submarines and in the Engineering Test Bed (ETB) Facility. As such the NSE has been developed with portability and ruggedness in mind. On-board, the NSE can be connected to the Navigation Data Management Centre (NDMC), which provides a data collection point for the various navigation sensors installed on the SAN Heroine Class Submarines. The connection to the NDMC is a plug-n-play design where a sensor can be disconnected at the NDMC and replaced by the NSE’s physical connection. Various test modes allow for data interface testing and inspection. 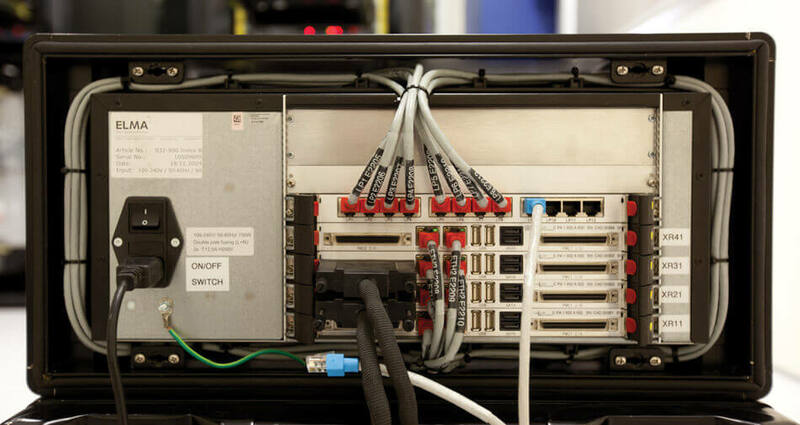 Both single and multi-packet modes are catered for, as well as the ability to simulate faults. This can be by way of data rate deviation, data corruption or random data errors. The NSE also provides for a scenario based simulation where (currently) up to 14 simulated sensors provide data based on a single scenario. This simulated navigation data is then used to stimulate the NDMC in a way that is indistinguishable from a real-world situation or scenario. In the ETB mode the NSE is used to integrate various systems and simulators to provide for a Team Trainer Simulator. In this mode the NSE operates as an NDMC Emulator, providing simulated sensor data to the ETB environment, as well as linking the Periscope Simulator to the ETB ISUS System within the ETB Facility. Simulation and emulation within the ETB Environment is controlled via a scenario generator that allows an operator to configure a scenario via HMI inputs. This provides for team training in a realistic environment while also providing a high-fidelity system for the testing and integration of new hardware and software in a controlled and safe manner.